Fine arts and belles-lettres are united in this book in a productive dialogue. 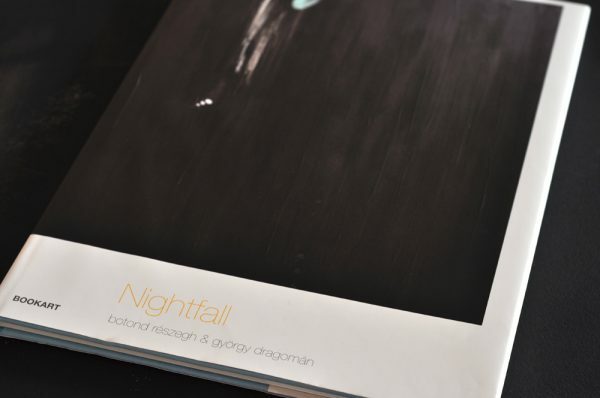 Botond Részegh’s acrylic- and clack ink-series Nightfall inspired György Dragomán’s short prose pieces entitled Detention. Tales from Beyond the Bars. Their meeting results in a staggering chronicle of the loss of freedom and autonomy. The high-standard design of the publication was awarded with Fair Book Prize on the Târgu Mureș International Book Fair from 2014. “ It is all the same if the Russian oil magnate Mikhail Khodorkovsky [whose person and story gave the initial impulse to Részegh] or long-ago disappeared and forgotten sinners stay in front of us. Their example tells us the same. It does not matter if one is put in one’s own stocks or restrained in outer hutch, one has no other choice than to face oneself on the painful, merciless and lonesome way that leads to self-knowledge… This is Botond Részegh’s play with the world’s toughest situation. For book order please contact us.